Michelle Zauner of Japanese Breakfast has just signed a book deal for her memoir, titled Crying in H Mart, with Knopf. The memoir’s title comes from a highly acclaimed essay of the same name that Zauner wrote for The New Yorker in 2018. Crying in H Mart details Zauner’s experiences in growing up Korean-American, navigating the loss of her mother at a young age, the search for identity in a hybrid culture, and discovering passion for her ancestry and Korean cooking as a means of healing. Zauner’s writing has previously appeared in Glamour Magazine, as well as The New Yorker. Crying in H Mart’s publication date has not yet been disclosed. 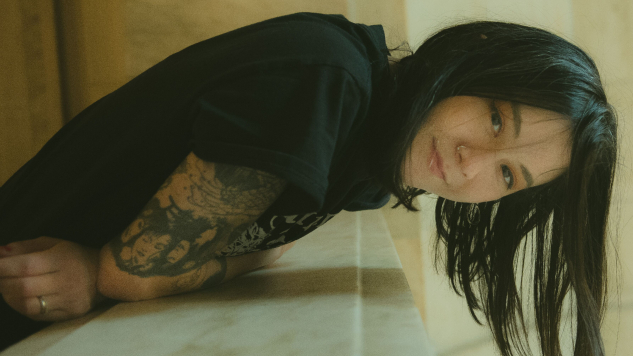 Revisit our 2017 interview with Zauner here and see Japanese Breakfast’s newly announced tour dates below. You can read her memoir’s namesake essay via The New Yorker.